The United Kingdom has experienced a bigger fall in inflation-adjusted ('real') wages since the financial crisis than any other advanced country apart from Greece. A report by the UK’s Trades Union Congress , shows that real earnings have declined more than 10% since 2007, leaving the UK equal bottom of the wage growth league table. 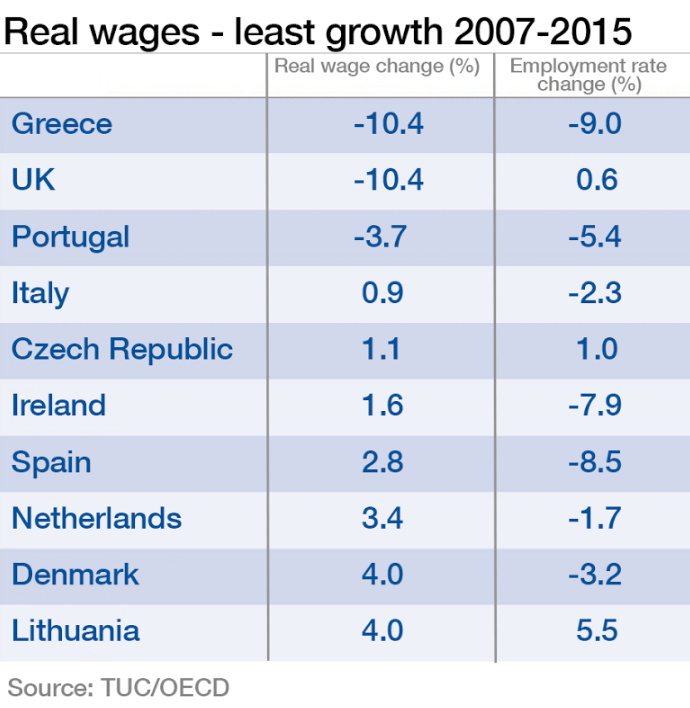 The UK, Greece and Portugal were the only three OECD countries that saw real wages fall over the seven-year period. The marked difference between the UK and Greece is that while Greece saw its employment rate (the proportion of working age people with jobs) fall by 9% over the same period, the UK recorded a rise of 0.6%. 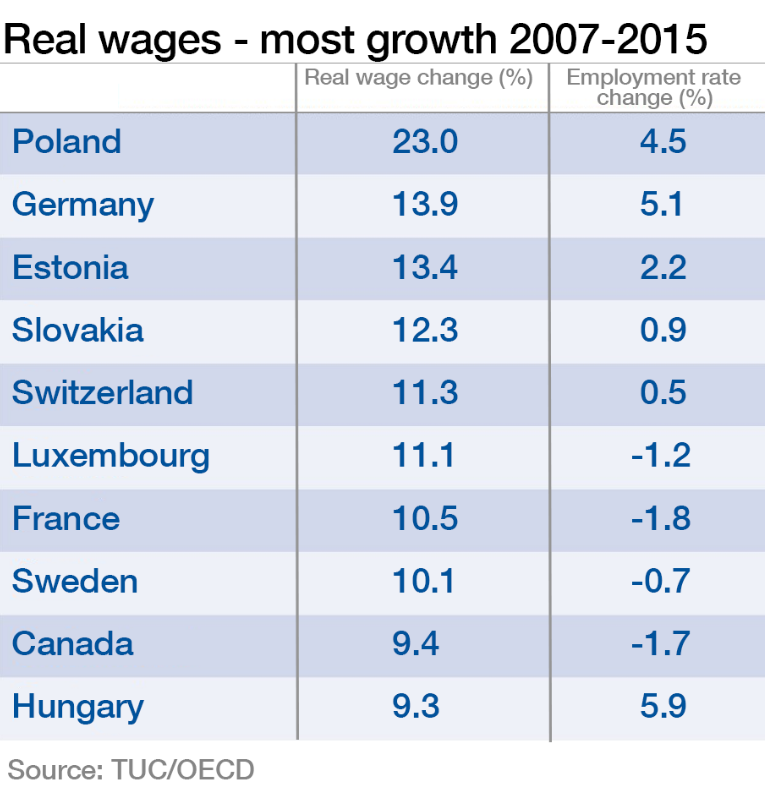 There was large real wage growth in other OECD countries, with Poland up 23%, Germany up 14%, and France 10%. Poland and Germany also saw a significant increase in employment rates, whereas France recorded a 1.8% fall. The United States saw real wages grow by 6.4% while the employment rate fell by 3.4%. The fall in UK real wages is seen as one factor influencing voters ahead of the country’s decision to leave the European Union. Where are workers earning the most?